Southern California’s sample-happy indie popper TV Girl has dropped his first full-length on the world on last Friday. 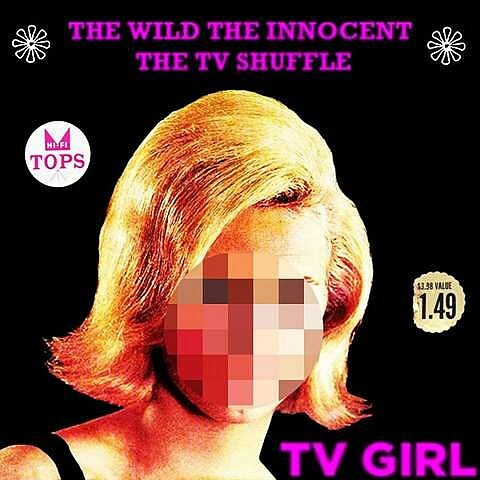 Out via Das Racist member Himanshu Suri’s Greedhead label, they’re calling The Wild, The Innocent, The TV Shuffle a “mixtape” but it sounds like an album to these ears. (16 songs, all originals.) Like 2010’s “If You Want It” single which borrowed a chunk of Todd Rundgren’s “Hello It’s Me” (and got them in a little trouble for doing so), Trung Ngo and Brad Petering work in some clever samples into their songs this time around, including Love’s “Alone Again, Or” and the frenetic intro to Billy Joel’s “Angry Young Man,” as well as a voicemail from one of their approving mothers. The mixtape is a free download that comes with a snarky activity book, and well worth the click to do so. You can stream it below.